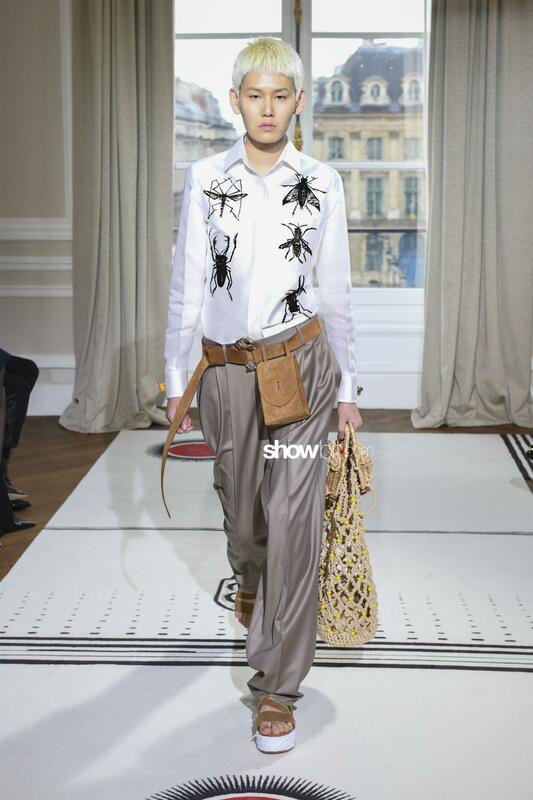 A surrealistic aura opened the Paris Haute Couture Fashion Week, with the Schiaparelli‘s SS18 Couture collection. Bertrand Guyon stays faithful to the founder’s original vision of fashion. Elsa’s heritage lingers in the air, enlivening itself through a repertoire of signs, tropical fauna and flora elements combined in surreal juxtapositions. Respectable dresses and feminine waisted jackets are enhanced with African-inspired rawness and wilderness, through colorful fringes, gipsy-looking silhouettes and ethnic jacquards referring to Masai art. 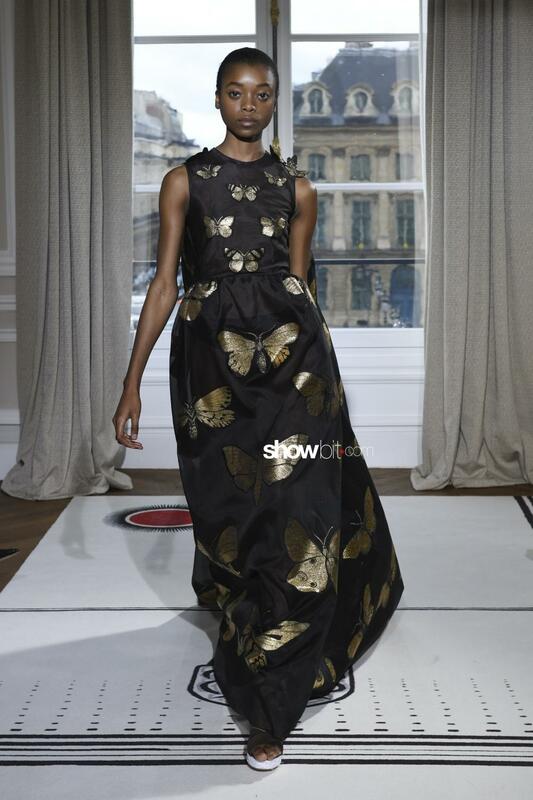 Butterflies and other insects, flower petals and leaves spring out from shirts and dresses. Tulle, plumetis, lace and chiffon are used to conceive Botticelli-esque heavenly gowns that are acquiring dreamlike and clashy fantasy elements. Inevitable are the trompe l’oeils such as the way he’s rethinking the jackets, beside the scale up of embroideries and volumes that create a dynamic visual effect.